It's showtime again in London as fierce rivals Tottenham and Arsenal go head to head in the Premier League at the iconic Wembley Stadium. Who will win the North London Derby? 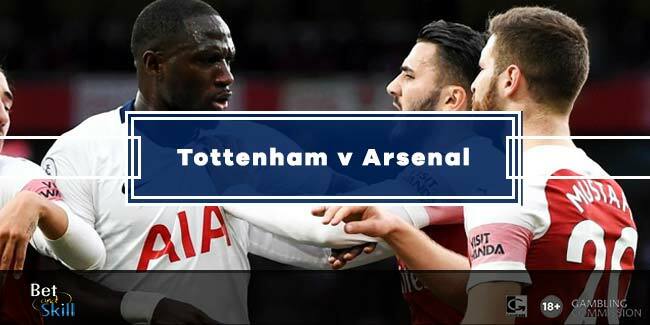 Don't miss our Tottenham vs Arsenal betting preview with predictions, betting tips, probable lineups, team news, enhanced odds, special promotions and no deposit free bets on this weekend's matches! 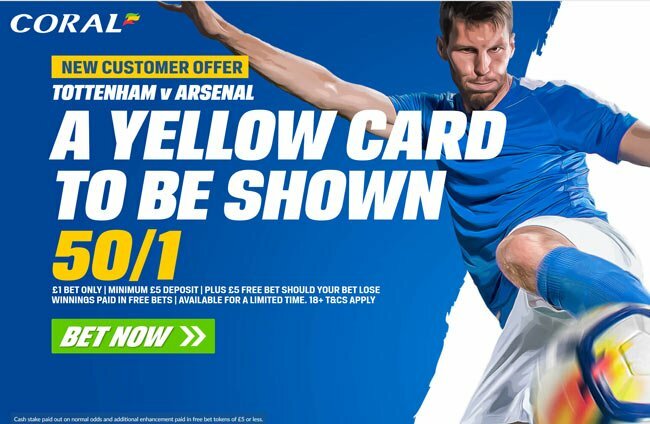 Get 40/1 Arsenal to beat Tottenham! Tottenham enter this match on the back of a 2-0 victory over Newport County in FA Cup last Wednesday. As to the Premier League, they clawed their way back to hold Liverpool to a 2-2 draw last weekend. Spurs now sit a place and four points above Arsenal coming into the match and are enjoying a 12 match unbeaten run. Mauricio Pochettino's men are are unbeaten in their last three North London derbies at home against Arsenal in the league, winning two. Toby Alderweireld, Danny Rose and Harry Winks all returned from injury to start in midweek but they are all expected to make the bench. Lucas Moura is also available for Tottenham after he was forced to miss the FA Cup last time out. Anyway, Mauricio Pochettino will keep faith in his usual attack, with Dele Alli, Christian Eriksen and Son Heung Min supporting the lone striker Harry Kane upfront. Serge Aurier played the full 90 minutes in midweek, so Kieran Tripper looks poised to start at right-back. Davinson Sanchez, Jan Vertonghen and Ben Davies will complete the back four while Eric Dier and Mousa Dembelè are likely to anchor the midfield, with Victor Wanyama providing cover. Arsene Wenger has revealed that Petr Cech is a doubt for the North London Derby, so we will probably see David Ospina defending the Gunners' goal. The Gunners boss may decide to switch from a 4-2-3-1 formation to a slightly more defensive 4-3-3. That would see Jack Wilshere joining Granit Xhaka and Aaron Ramsey in the middle of the park. Up front, Mesut Ozil and Henrikh Mkhitaryan are expected to start in advanced midfield positions behind striker Pierre-Emerick Aubameyang. Alex Iwobi and Alexandre Lacazette provide further options. In defense, Nacho Monreal looks set to be in contention following illness, with Ainsley Maitland Niles and Sead Kolasinac viable alternatives. Our football expert team has selected for you the best odds on the Tottenham vs Arsenal match. Click on the 'Bet' button, jump on the bookmaker offering the best price and back your selection in few simple steps! Find below our recommended bets on the North London Derby! Back our betting tips in singles or combine them by requesting your own odds. We have collected all the bookmakers where you can Request your customised bet at the moment. Looking for more predictions on the Premier League? Please visit our Premier League betting previews section right now. "Tottenham vs Arsenal betting tips, predictions, lineups and free bets (Premier League - 10.2.2018)"